A ticket redemption game. Players spin a "Dice", with the wheel then turning based on the result. The number pointed to on the wheel is the number of tickets won. If players land on "?" 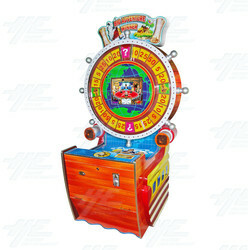 or a Treasure Box, then a small bonus game occurs with tickets awarded based on the points received.